Omi Wagyu Beef at Pan Pacific Singapore (Edge, Hai Tien Lo and Keyaki) from 12-31 Aug! Wagyu fans, you'll be glad to know the Pan Pacific Singapore is showcasing Omi wagyu beef from Shiga prefecture, Japan, across its restaurants from 12 to 31 August. 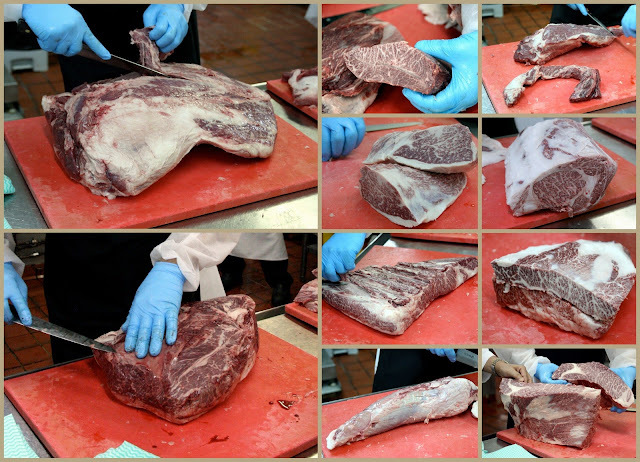 What's unusual is - they've brought in the entire half-cow instead of just select portions like ribeye and tenderloin. So we're going to see dishes specially built around different cuts of beef, including brisket, calf, thigh and tendon. Omi wagyu is one of the top three brands of wagyu in Japan, alongside Matsutaka and Kobe beef. They come from a special lineage of wagyu cattle - Tajima-gyu - resulting in excellent marbling. 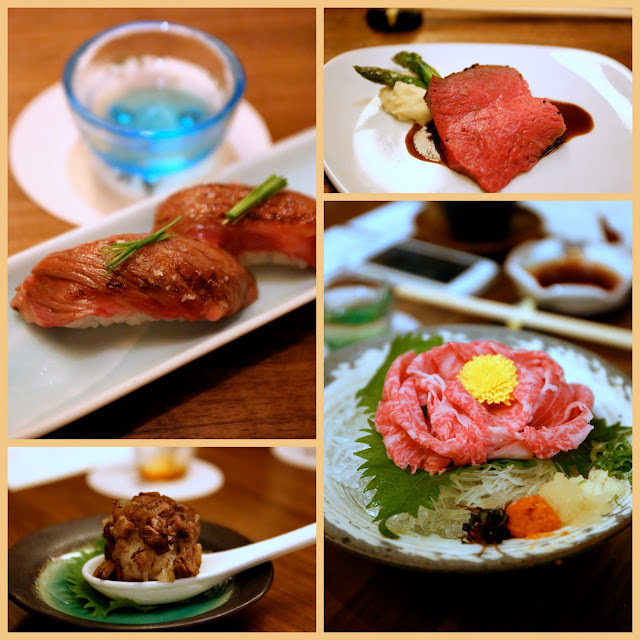 Just look at the Wagyu Sashimi (bottom right) in that blossom formation - ribeye slices served with a tangy ponzu dipping sauce that just brings out the beautiful fatty flavours of the meat. At Keyaki, there will be three Omi Wagyu Kaiseki set menus that feature various treats like seared Wagyu Sushi (top left) -- which is my favourite of the lot. Over at Hai Tien Lo, Steamed Dice Wagyu Beef Tendon Balls with Pearl Rice and Truffle (bottom left) makes good use of wagyu tendon and meat. And at Edge, the Slow-Roasted Wagyu Rump with Red Wine Sauce (top right) will be part of the buffet (yes!). We were very lucky to get a behind-the-scenes look at how the Daikichi Ranch supplier set about preparing and trimming the various cuts. Take a look at what the individual cuts look like, and what dishes they are most suitable for. We even take a guess at what local dishes might benefit from these. Imagine gubak kway teow with this kind of quality meat! Tell me what you think would work too! 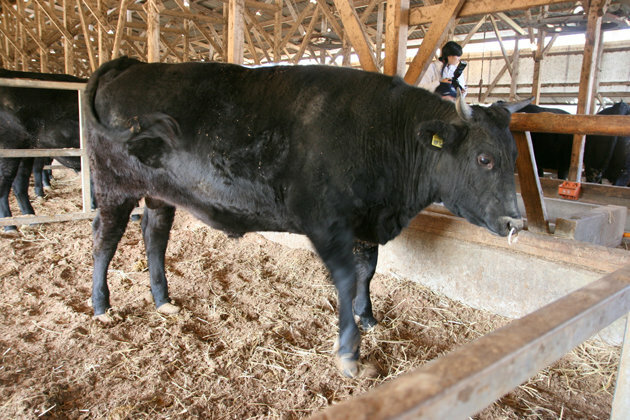 Also see my earlier piece on the raising of wagyu cattle in Japan (in Saga prefecture). It is a fascinating industry, and I am so glad I got to see a real farm firsthand in Kyushu. that collage is so pretty! And yummy!